isn’t a waterway, what is? The late archeologist Steve J Gould well into his career came up with a twist on evolution that was termed “punctuated evolution” (PE). PE was the first real acknowledgement that uniformitarianism was not the only principle at work in the earth sciences and biology. There was just so much evidence that something other than slow, incremental mutations and slow, incremental erosion, that sooner or later someone was going to have to bring in the sudden bursts and extinctions into the mix. Gould was the guy who did it, and I give him credit for doing it. But, like all changes that come from within, PE was only a half step, a conservative step, one that had to be limited in its scope in order to be at all acceptable in his field. Evolution itself came from without. Alfred Wallace was not an academic, and if he hadn’t written Charles Darwin about his ideas about natural selection, Darwin might never have gotten around to publishing his ideas. Literally. Darwin knew it was too big a sea change and was trepidatious about putting his ideas out there. Without Wallace’s full conclusions about natural selection, one has to wonder what timid half step Darwin might have taken, if and when he would have gotten around to publishing anything. But evolution or punctuated evolution, there is still a lot more evidence out there that something happened along the way that interrupted, not only natural selection, but the flow of human history. It may not even be a coincidence that the very demarcation between history and pre-history is laid out at the same time as the extinction of the mammoths and other megafauna in North America and the extinction of full-sized mammoths everywhere. But whatever it was, it was more extreme – in the time of man – than what is covered by Gould’s modification to Darwin’s theory. Mankind’s development did not stop with the advent of homo sapiens sapiens. at the individual level. Once sapiens began collecting in units larger than matings, his real devlopment took off. So, more than punctuated evolution, as regards the development of h. sapiens sapiens. , there was the development of homo civilus. And it didn’t happen only once, unless I miss my mark. 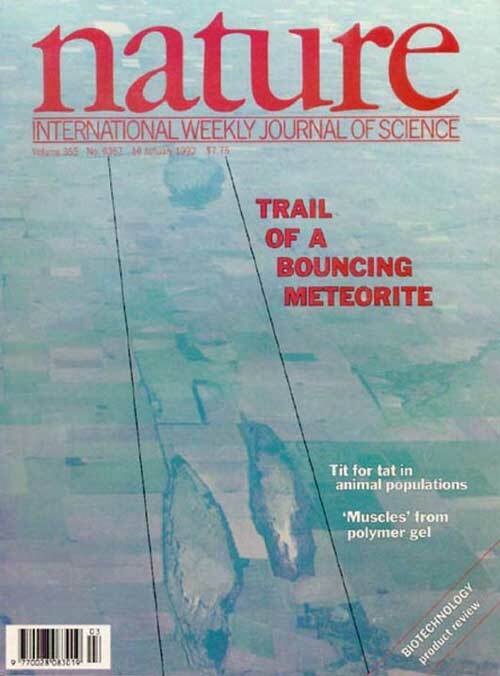 I had heard of the Rio Cuarto craters about 7 years ago, and had seen a copy of the cover of Science magazine with three large craters. Really LONG craters. REALLY LONG craters. One of them was 4.5 kilometers long, about 3 miles long. 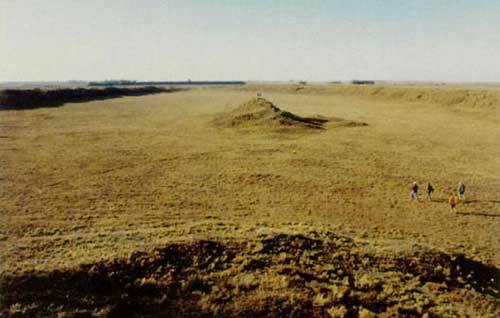 These are craters that seem to have impacted 10,000 years ago. That happens to be right when the end of the Ice Ages was. Since I don’t think the ice age really existed, I think that is wrong, but for different reasons than scientists might contend. They do consider that time to be the end of the Pleistocene and the beginning of our current age, the Holcene. I think it is when Atlantis went down for the last time, and I think they read their interpretation into it, while I read mine into it. But I had not thought of that when I first read about these craters. Now I have to wonder. I will cover that in another post, one about the Younger-Dryas Impact Event maybe, or just one on Atlantis. 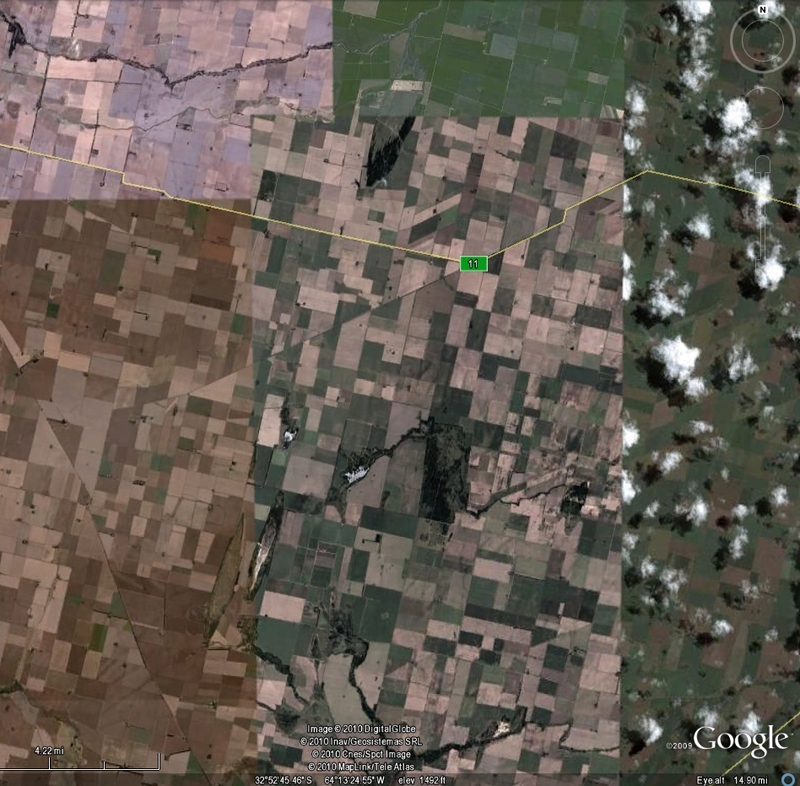 The articles – scientific ones and main stream media ones – all talk about there being something like 10-20 craters over a 30km long area, all NNE of the city of Rio Cuarto, about 600km west of Buenos Aires. In this post I am writing to point out that there are more craters.